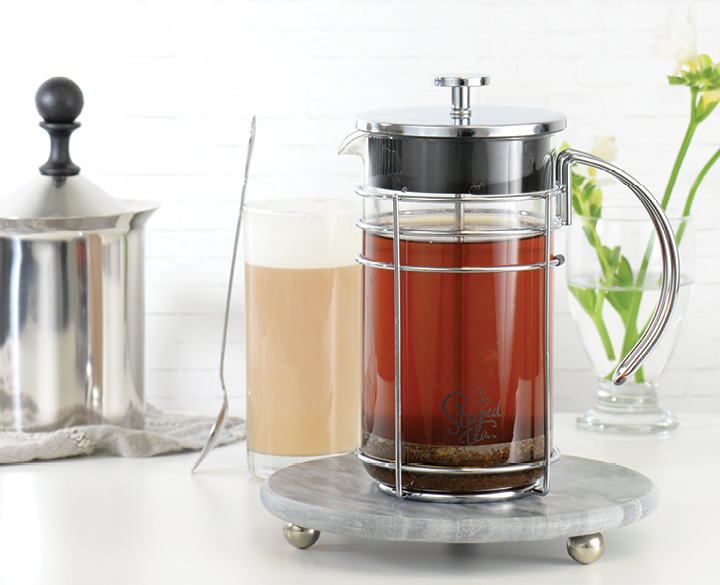 Add latte mix to tea press. Add hot (not boiling) water to press and steep for 3-5 minutes. While tea is brewing, warm milk and vanilla in pot; do not boil. Froth milk in Party Milk Frother, set aside. Once tea is steeped, push plunger down and fill 2 mugs 3/4 full. Divide frothed milk into mugs and top with a dash of cinnamon. Enjoy!